The post is a little early this week to get a jump on the holiday. To all Trailheads readers (hi, mom) and guest bloggers from the past year, I offer a hearty “thank you” for your support. May you all enjoy some delicious food, good company, and a chance to spend time with the folks you love. 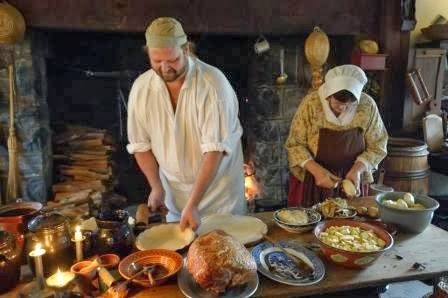 All sites on the Trails of History will be closed tomorrow for Thanksgiving, some will reopen on Friday for visitors, and then all will be back to their regular schedules on the weekend (it’s always a good idea to check ahead to make sure the site you want to visit will be open when you plan to be there). Friday, Kiwanis Club Christmas Tree Lighting, Washington Crossing Historic Park. Admission is free. 5:30-7:30 pm (lights on at 6). Saturday, Patriots’ Day 2013, Brandywine Battlefield. Adults (age 18-64), $8; Seniors (age 65+); Children (age 5-17), $6. 9 am-4 pm. Saturday, A Soldier’s Christmas, Graeme Park. Admission is free. The Marine Corps League will be on hand to collect new, unwrapped Toys for Tots. Noon-6 pm. Saturday, Wreaths and Greens Workshop, Pennsbury Manor. Advance registration required. Call 215/946-0400. Sunday, Christmas Open House, Conrad Weiser Homestead. Admission is free. Noon-4 pm. Wednesday, Dec. 4, Days of the Belsnickel Dinner Tour, Landis Valley Village and Farm Museum. 5:30-9 pm. Reservations required; call 717/581-0590. Thursday & Friday, Dec. 5-6, Holly Nights, Pennsbury Manor. Entertainment schedule. Adults, $12; Seniors, $10; Children (age 3-11), $6. Download a coupon good for $1 discount on adult tickets. 6-9 pm. The Holiday Marketplace continues today in the atrium of the Commonwealth Keystone Building in Harrisburg, 10 am-3 pm. 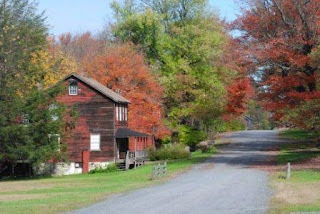 Eckley Miners’ Village has announced the winner of their second annual fall foliage photography contest. Joann Stewart of Mountain Top received a cash prize and a one-year membership in the Eckley Miners’ Village Associates, PHMC’s partner at the site. Her photo is also on display in the visitor center at Eckley. Congratulations, Joann. On a related note, the Railroad Museum of Pennsylvania’s temporary exhibit, “From Your Lens: Images of Contemporary Railroading,” featuring images submitted for a photo contest, continues through Dec. 31. Today is the Lancaster County Community Foundation’s Extraordinary Give. You can contribute online between now and midnight to support, among others, Ephrata Cloister and Landis Valley Village and Farm Museum. 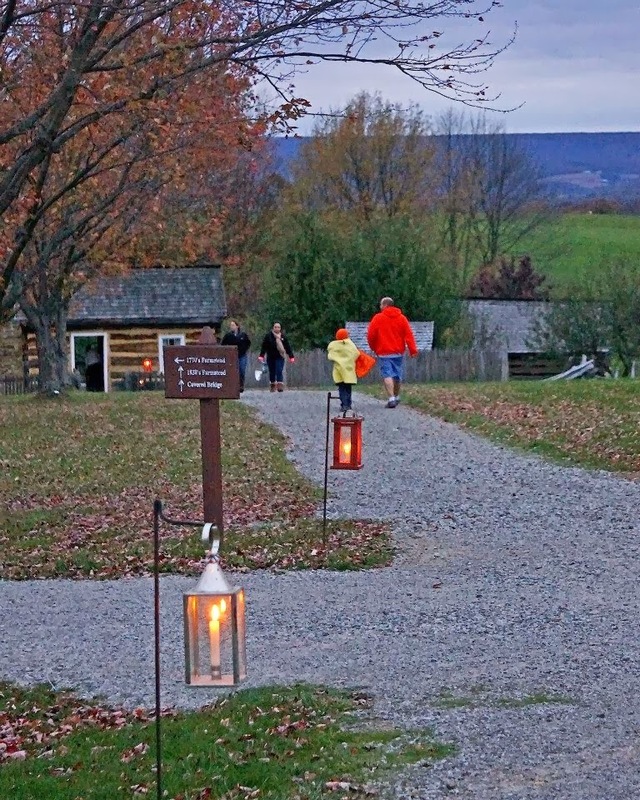 Conrad Weiser Homestead will offer an evening program tomorrow from 6 to 8:30 pm, featuring 18th-century stories and music, as well as a chance to experience the site by candlelight. Admission is free, but donations in support of the program will be gratefully accepted. It’s Museum Educator Appreciation Day, so to all my educator colleagues out there—THANK YOU! THANK YOU! THANK YOU! And although the Gettysburg Address (150th anniversary is Tuesday, Nov. 19) isn't specifically related to sites on the Trails of History, I think the "Learn the Address" project is just kind of cool. History geek nirvana. A new publication from PA Civil War 150 is now available. 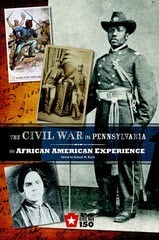 The Civil War in Pennsylvania: The African American Experience, edited by Samuel Black and published by the Senator John Heinz History Center, features scholarly essays on such topics as civil rights, emigration, abolitionism, armed resistance, and service in the war. It is available from ShopPAHeritage along with other products related to the Civil War. Cornwall Iron Furnace recently received an important donation of an iron stove plate cast at Cornwall. The donor purchased the stove plate at a Lancaster County antiques market, noted that the Cornwall name was on it, and contacted the site. It turns out that although the site collection includes many stove plates, none are marked “Cornwall Iron Furnace.” The Lebanon Daily News covered the stove plate’s return to Lebanon County. 2013 has been a very busy year for the Flagship Niagara and her crew with the bicentennial of the Battle of Lake Erie and the War of 1812. They visited Great Lakes ports throughout the sailing season and hosted Tall Ships Erie 2013 in September. Now the ship is under winter cover and the crew is focused on off-season activities. You’ll find photos on Facebook. And senior captain Walter Rybka spoke at a Veterans Day event at the Armed Forces Reserve Center in Erie earlier this week. The Pennsylvania Heritage Foundation’s 8th annual Holiday Marketplace is scheduled for next Thursday and Friday (Nov. 21-22) in the atrium of the Commonwealth Keystone Building in Harrisburg. Museum stores from Landis Valley Village and Farm Museum, Ephrata Cloister, Somerset Historical Center, and the State Museum of PA will be represented, along with several other state agencies. Get a big jump on Black Friday and support history and culture. November 22 (next Friday) is the date for the Lancaster County Community Foundation’s Extraordinary Give, a 24-hour online fundraising campaign. Ephrata Cloister and Landis Valley Village and Farm Museum are taking part, and Ephrata is planning on-site activities throughout the day. Participating organizations will get a proportional share of the $250K stretch pool and are eligible for $50K in prizes during the event. The votes are in and PHMC’s two entries on the PA’s Top 10 Endangered Artifacts campaign ended up in second and third place. Together, Anthracite Heritage Museum’s bust of Abraham Lincoln by coal sculptor C. Edgar Patience and the cap and coat made for Old Economy Village leader George Rapp garnered 2.1 million votes, 145 shares, and $1,715 in support. Thanks to all of you who took the time to vote and support these artifacts. Last week’s post featured the list of November events. Most sites will be closed on Nov. 11 for Veterans Day, but several are open. In my Halloween post, I failed to share images from Somerset Historical Center’s trick-or-treat event. I’m making up for that today. You might also be interested to know that in addition to its annual school of coopering, SHC is now your go-to source for historically based coopering tools and supplies. In late September, Ephrata Cloister started using their blog, "Chronicle Ephrata," to share info about members of the site’s student historians group and the work they do (as they had shared updates from summer interns in the previous months). The Times Tribune, in southeastern PA, covered the Whitemarsh Encampment at Hope Lodge this past weekend, including brief video footage. Visit Hope Lodge’s Facebook page to see photos shared by participants in the two-day event. If you weren’t able to attend the celebration of Daniel Boone’s 279th birthday, the Reading Eagle posted info and photos about the event. 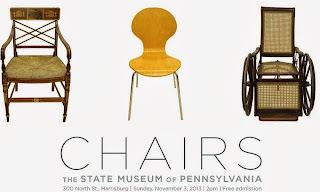 The State Museum of Pennsylvania opened a new exhibit last weekend (on view through April 27, 2014) featuring a wide variety of chairs from the collection. Look for news coming soon on another chair exhibit on the Trails of History that will overlap with the State Museum’s. We’ll have chairs coming out our ears. State Senator Patrick Browne (R-16), who represents parts of Lehigh, Northampton, and Monroe Counties, visited the Railroad Museum of Pennsylvania last month for his tv show, “The Browne Report.” He toured the museum with director Charlie Fox and the two paid special attention to railroad cars that operated in the Lehigh Valley. Sen. Browne also spoke with volunteer Steve Kistler about telegraphy and got a demonstration of how messages were sent. The video is available on the senator’s website or on local cable stations in the Lehigh Valley. Welcome to November on the Pennsylvania Trails of History. Time to start checking seasonal schedules, as some sites are now closed or on reduced hours for the winter. With Veterans Day and Thanksgiving, we also have some holiday changes as well (a summary of holiday schedules will help you plan ahead). For those of you in the Harrisburg area (or who would like a weekday road trip), the Pennsylvania Heritage Foundation's annual Holiday Marketplace is scheduled for Thursday and Friday, November 21 and 22, 10 am-3 pm. The event, which features merchandise from sites on the Trails of History as well as other state agencies, takes place in the atrium of the Commonwealth Keystone Building, corner of North St. and Commonwealth Ave. Pennsylvania Heritage Foundation and State Museum Affiliate members receive a 10% discount on purchases. Nov. 2: A Miner’s Tale—dramatic presentation by Robert Hughes provides insights into the life of an anthracite miner. $5 ticket includes admission to the museum’s exhibits as well. 2 pm. Nov. 2: First Annual Brandywine Battlefield 5K—starts at Brandywine Battlefield Park, 8:30 am. Nov. 30: Patriot’s Day—British and Continental troops, civilian reenactors, sutlers, and much more at this annual event commemorating the Battle of Brandywine and its significance to the American Revolution. 10 am-4 pm. Nov. 3: Open noon-4 pm. 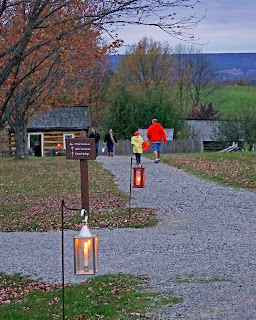 Nov. 23: Candlelight Tours—this annual program features living history, 18th-century music, and a chance to see the site by night. 6-8:30 pm. Nov. 12: Friends Lecture Series—“Tools of Genealogy,” with speaker Brian Kissler, librarian and archivist for the Lebanon County Historical Society. Lectures are held in the auditorium of Freeman Hall at Cornwall Manor retirement community. 7 pm. Nov. 3: Boone Birthday Program—celebrate Daniel’s 279th birthday with tours, storytelling, and cake. Admission: $6 ages 12+, $4 ages 5-11. Noon-4 pm. Nov. 10: Fall Lecture—Floyd Turner II will present a talk entitled “Turtle—Washington’s Revolution War Attack Submarine.” Suggested donation: $2 (regular admission charged for tours or to visit the historic area). 2 pm. Nov. 17: Flag Retirement Ceremony—several local organizations will be on hand to properly retire U.S. flags that are no longer serviceable. Event is free; regular admission charged for tours or to visit the historic area. Noon. Nov. 7: Heritage Lecture Series—"You Can Come Home Again: Two Centuries of the Appalachian Natural Gas Rush," with David Waples, author of The Natural Gas Industry in Appalachia. Program details. Nov. 21: Heritage Lecture Series—Speaker is Dr. William Brice, author of Myth, Legend, Reality: Edwin L. Drake and the Early Oil Industry. Program details. 6:30 pm. Nov. 7: Ephrata Cloister Chorus at Historical Society of Pennsylvania—the chorus will perform traditional music as part of "Flowers of Paradise: Manuscripts and Illustrations from the Ephrata Cloister," a lecture by Dr. Jeff Bach, who has done extensive research and writing on the community at Ephrata. The program is presented by the Historical Society of Pennsylvania, 1300 Locust St., Philadelphia. Free of charge. 6-7:30 pm. Nov. 8: Tickets for Christmas at the Cloister—as of today, the general public can purchase tickets for this limited-seating event, scheduled for Dec. 9 and 10. Tickets are $6. Call 717/733-6600. Nov. 2: Little Mates Kids Club—tour the ship, have lunch with Captain Wes, and get a kid-friendly behind-the-scenes peek at the museum. More info on Facebook, including how to join the Little Mates Kids Club. 11 am. Nov. 30: A Soldier’s Christmas—see how soldiers have celebrated the holidays on the battlefront of different eras. Free admission. Noon- 6 pm. Nov. 2-3: Whitemarsh Encampment Reenactment—this long-standing event commemorates the Nov. 2-Dec. 11, 1777, encampment of Gen. George Washington and the Continental Army in the Whitemarsh Hills. Program details and discount coupon. 10 am-4 pm, rain or shine. Nov. 3: Heritage Day—costumed interpreters will be stationed in the house as you tour, Dr. Priestley will demonstrate chemical principles, and there will be games for children. 1-4 pm (chemistry demos at 1:30 and 2:30). Nov. 2-3: Landis Valley Museum Store Holiday Open House—shop for locally handmade art, crafts and heirloom-quality gifts and enjoy holiday decorations in the museum store. 9 am-5 pm. Nov. 7: Hands-on History Day—experience seasonal chores, a one-room schoolhouse, hands-on crafts, and wagon rides. $10 per person (ages 5 and under are free). 10 am-3 pm. Nov. 13: Behind the Scenes Tour—wonder what’s behind the locked doors? This is your chance to find out. Tour collections storage areas with staff and see treasures not currently on display. Wine and cheese will be served in the visitor center. $25 ($20 for Friends of OEV). Reservations required. Nov. 16: Museum Store Class—learn to make German stars for decorating your home. $15 fee includes materials. Register by Nov. 13. Nov. 17: Open Hearth Cooking—the cooks will be overdosing on sugar today as they explore 17th-century confections. Included in regular admission. 1-4 pm. Nov. 30: Wreaths & Greens Workshop—make a fragrant evergreen wreath and learn how to prune and care for evergreens in your yard. $35 fee. Choose morning (10 am-noon) or afternoon (1-3 pm) and bring your own clippers. Registration is required. Nov. 6: Friends’ Richard Koontz Memorial Lecture Series—“Young Mr. Roosevelt,” with speaker Dr. Stanley Weintraub, explores Theodore Roosevelt’s experience as Assistant Secretary of the Navy. 7:30 pm. Nov. 9: Kids Day - Dress Up and Discover! !—Kids of all ages get to try on field gear and head gear from the museum education collection. Photo ops abound with three backdrops in the museum theatre. Visit the education stations in the galleries for more fun discoveries throughout the day. Admission is Buy-One-Get-One-Free. Parents must remain on-site while their kids participate in the activities. 10:00 am-3:00 pm. Nov. 2-3: Trains & Troops—this annual program salutes our armed forces and explores the role of the military in railroad history (and vice versa). A Swing Dance Saturday night (separate or combo ticket) lets you enjoy big band music, refreshments, and swing, swing, swing. Program details. Sat., 9 am-5 pm; Sun., noon-5 pm. 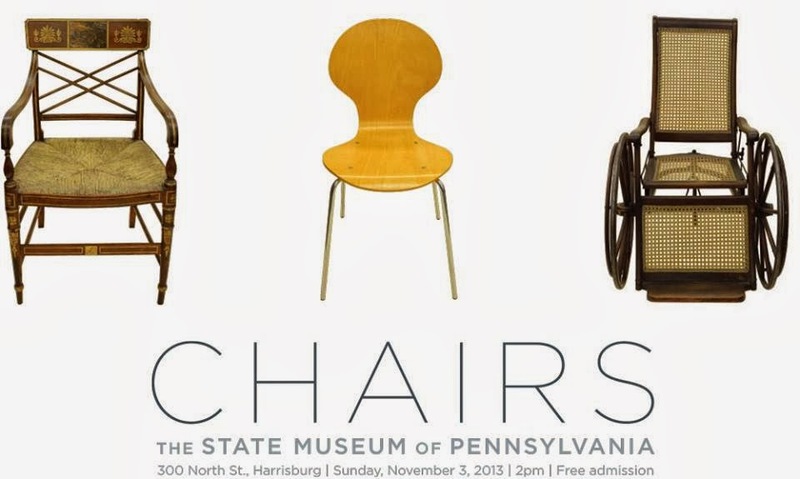 Nov. 3: Exhibit Opening—“Chairs from the Collection of The State Museum” presents a diverse array of chairs ranging across Pennsylvania’s history. The exhibit will be on view through April 27, 2014. An opening reception will be hosted by the Pennsylvania Heritage Foundation. 2-4 pm. Nov. 15: Hidden Treasures 2—a scavenger hunt for grown-ups, with food, live music, and adult beverages. Details and tickets at shoppaheritage.com (online sales close Nov. 13). $30 per person, $55 per couple. 6-9 pm. Nov. 16: Workshops in Archaeology—the focus this year is “Archaeology of a Troubled Nation, 1755-1865.” Additional information and registration. Nov. 10: Historic Foodways—check the website closer to the dates to confirm details. Nov. 13: Final Public Meeting for WCHP Master Plan—an opportunity to preview the final plan for use of the park's many facilities, hear a progress report, and ask questions or provide comments. 5:30-8:30 pm.